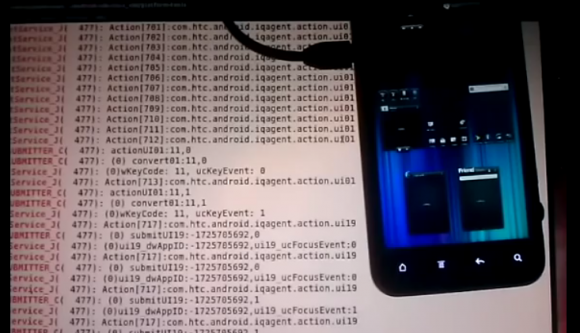 A security researcher Trevor Eckhart has posted a video detailing hidden software installed on smart phones that logs numerous details about users’ activities. In a 17-minute video posted Monday on YouTube, Trevor Eckhart shows how the software – known as Carrier IQ – logs every text message, Google search and phone number typed on a wide variety of smart phones – including HTC, Blackberry, Nokia and others – and reports them to the mobile phone carrier. Eckhart showed his findings off first in the XDA Developer Forums. Once his first findings were found by Carrier IQ (again, an app that runs in the background that you may never have known is on your device right this second), they threatened legal action against him. As it turns out thanks to the support from the EFF (Electronic Frontier Foundation), Carrier IQ has decided not pursue a lawsuit against TrevE, issuing a statement apologizing for their actions. When they found that legal threats weren’t going to do them any good, they sent out word to the public that their software does not record keystrokes or other personal information. What we’re to understand today if Eckhard’s findings are true is that this claim was quite simply incorrect. Measuring Mobile User Experience Does Matter! 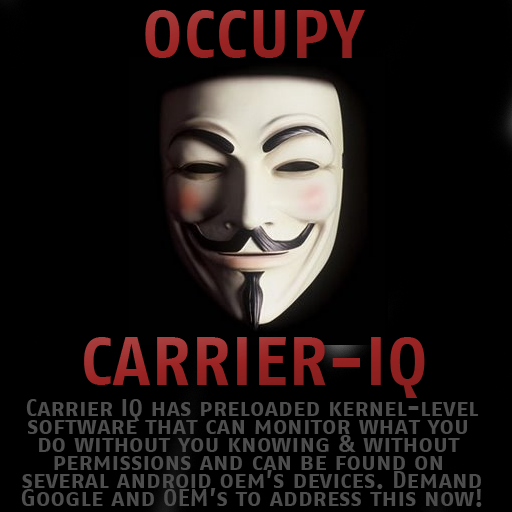 Mountain View, CA – November 16, 2011 – Carrier IQ would like to clarify some recent press on how our product is used and the information that is gathered from smartphones and mobile devices. Carrier IQ delivers Mobile Intelligence on the performance of mobile devices and networks to assist operators and device manufacturers in delivering high quality products and services to their customers. We do this by counting and measuring operational information in mobile devices – feature phones, smartphones and tablets. This information is used by our customers as a mission critical tool to improve the quality of the network, understand device issues and ultimately improve the user experience. Our software is embedded by device manufacturers along with other diagnostic tools and software prior to shipment. While we look at many aspects of a device’s performance, we are counting and summarizing performance, not recording keystrokes or providing tracking tools. The metrics and tools we derive are not designed to deliver such information, nor do we have any intention of developing such tools. The information gathered by Carrier IQ is done so for the exclusive use of that customer, and Carrier IQ does not sell personal subscriber information to 3rd parties. The information derived from devices is encrypted and secured within our customer’s network or in our audited and customer-approved facilities. Our customers have stringent policies and obligations on data collection and retention. Each customer is different and our technology is customized to their exacting needs and legal requirements. Carrier IQ enables a measurable impact on improving the quality and experience of our customers’ mobile networks and devices. Our business model and technology aligns exclusively with this goal. PPCGeeks is a site for smartphone owners (including Windows Phone 7, Windows Mobile, Android, Blackberry, WebOS, and iPhone) with discussions, reviews, news, links, downloads, and much much more. Tip Us On A News Story! Back to Top Copyright © 2011 - PPCGeeks.com. All rights reserved. Powered by WordPress.